One of the most frequent problem faced in power line ( LT, 11 KV and 33 KV) erection is boring a hole of required standard depth. Many times we find that the poles are not buried to proper depth. As a result we are seeing bent poles and ultimately line breakdown causing much inconvenience to consumers and revenue loss to company along with unnecessary repair costs. 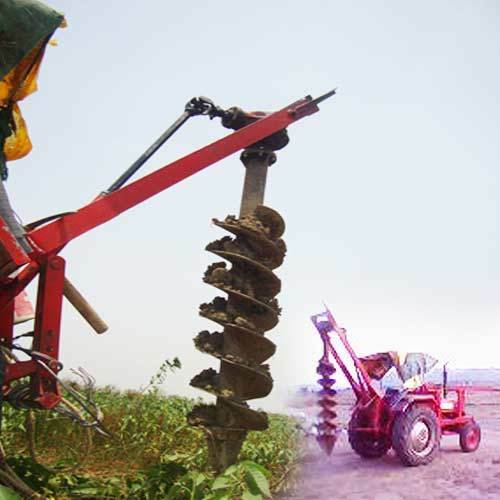 The following machines are the technological solution…..
a) This is a tractor operated application which has been design especially for rural electrification work hence as per project pit designs and dimension machine can be customized. b) Machine takes very little time to make a pit (approx 5 to 10 mins) against the time taken by manual labor is 5 to 6 hours. This reduces the burden of labor management and huge cost saving. c) The complete cycle of pit drilling is completed in just five minute. d) Most critical benefit is huge cost saving and very high speed of work. e) It eliminates the prevailing labor problem completely thus leads to project on time execution. a) This is a tractor operated application which has been design especially designed for electrification projects hence as per the project requirement machine can be customized. b) Machine takes very little time for pole erection. This reduces the burden of labor management and huge cost saving. c) The complete cycle of pole erection can be done with the help of two labors against the current manual practice of 12 to 14 labors. 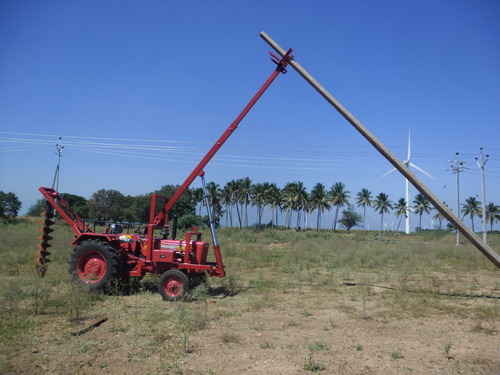 d) Production capacity of machine is very high, as complete pole erection takes only 15 mins. e) Most critical benefit is huge cost saving and very high speed of work. f) It eliminates the prevailing labor problem completely thus leads to project on time execution.